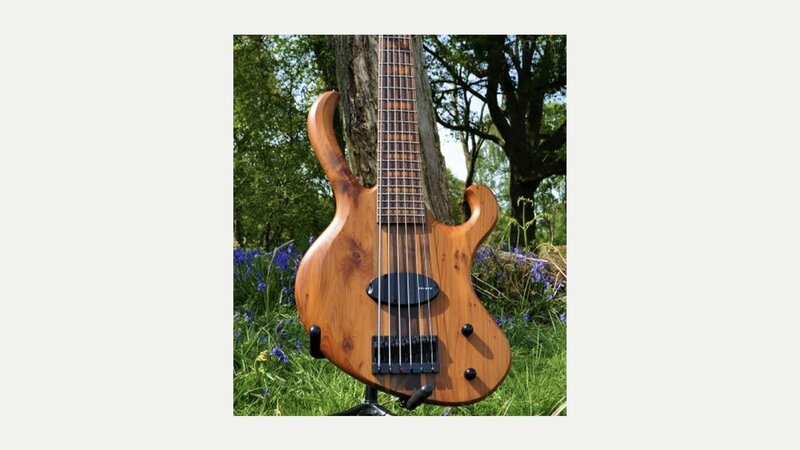 Manton Customs are a Shropshire based luthier of fine electric and bass guitars. Each instrument is hand built with pride in England from the finest timbers. They are happy to offer all of the more typical tone woods plus some exciting British alternative options for every aspect of the guitar. Whether it be fingerboard, neck, or body there is a British timber which can be used. As a company they enjoy working with these native timbers and get great satisfaction from using alternatives which aren’t commonly offered on electric guitars. Not only do they insist on high grade timbers but also quality hardware from named brands including Gotoh, EMG, Di- Marzio, Kent Armstrong and Seymour Duncan. However, as with their timbers the choice of hardware is yours. Their range of guitars includes The Origin, The Immortal 7 String, Echo Guitar MKII, The Horizon, The Sirius, The Apparition, The Horizon MKII. 8 String Matriarch True Temperament, Echi MKII True Temperament; their range of basses inlcudes The Titan Bass, The Archon Bass, The Echo Bass and The Sirius Bass.